Speakers from the university and beyond share their passions and personal stories. 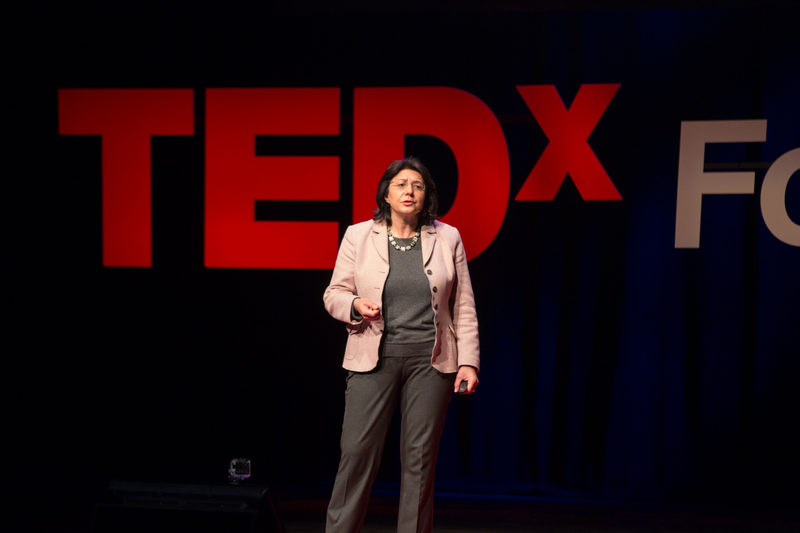 Annamaria Lusardi was one of four representatives from the university who spoke at TEDxFoggyBottom. 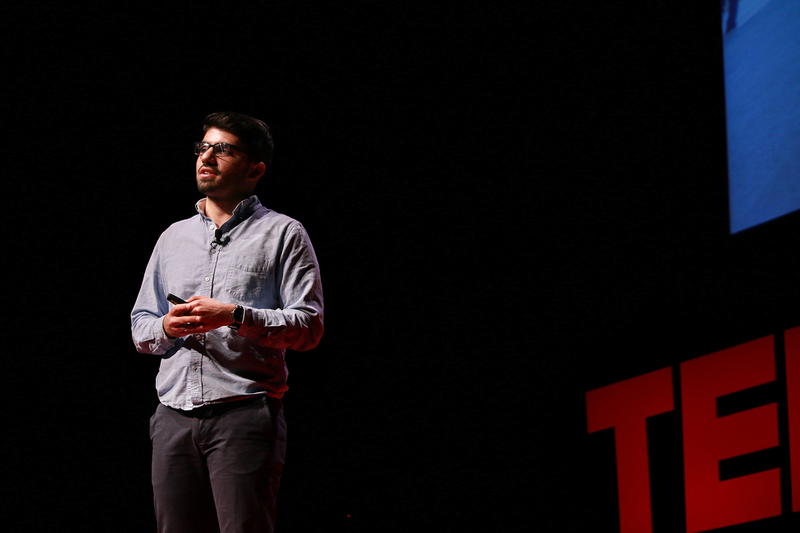 George Washington University faculty and students took the stage at Lisner Auditorium to speak to a crowd of 1,200 attendees representing GW, D.C. and the surrounding areas, at TEDxFoggyBottom on Friday. The student-organized event, with the theme of “Illuminate,” highlighted the passion and ingenuity of 21 speakers and performers, including GW students Oz Fishman and Priyanka Pardasani and faculty members Leana Wen and Annamaria Lusardi. 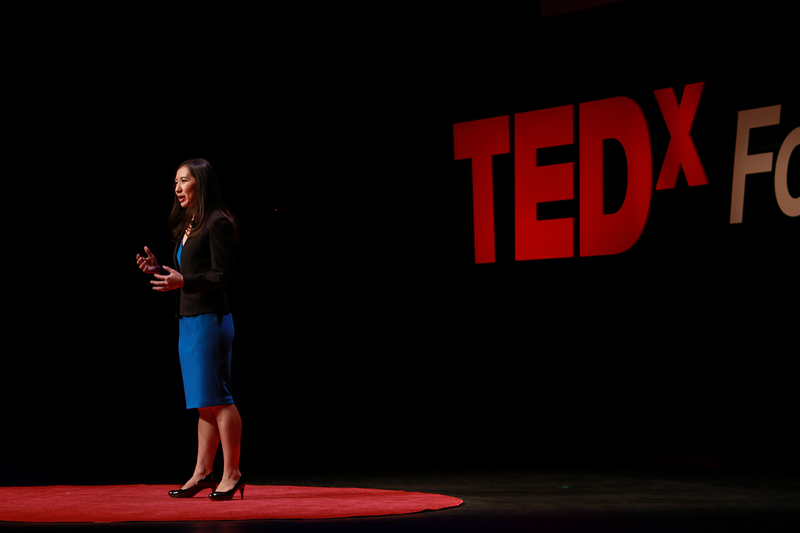 For Dr. Wen, director of patient-centered care research in the Department of Emergency Medicine, TEDxFoggyBottom was the first time that she spoke publicly about a stuttering problem she struggled with throughout her childhood and young adult years. She recounted stabbing herself in the leg with a pencil as a child to avoid speaking up in class and not registering for a college course in neuroscience because she couldn’t pronounce the name of the class. “I challenge you to reclaim your fear and turn it inside out, from shame for yourself into action for others,” Dr. Wen said. Hearing the audience respond to such a personal topic was scary and exhilarating, she said, but being a part of a such a successful community event, was even more inspiring. TED Community Director and satirist Tom Rielly hosted the event. 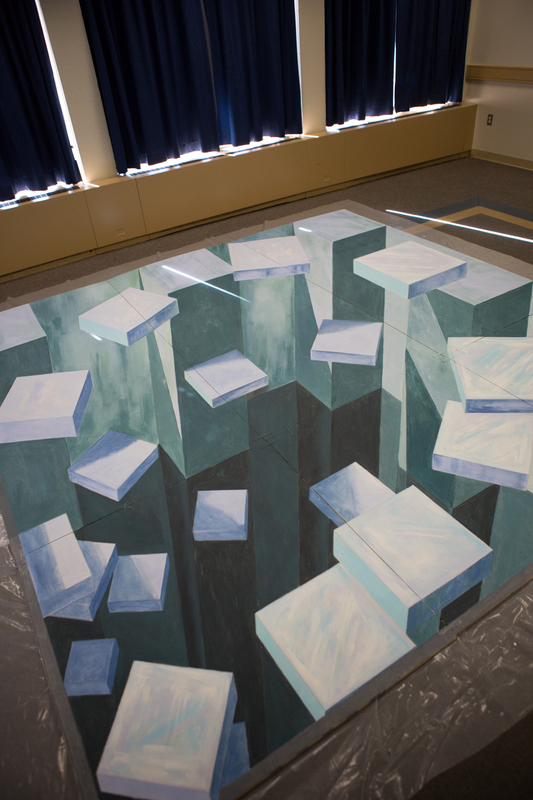 Artist Tracy Lee Stum created a piece for the conference that was on display during the interactive break-out sessions at the Marvin Center. 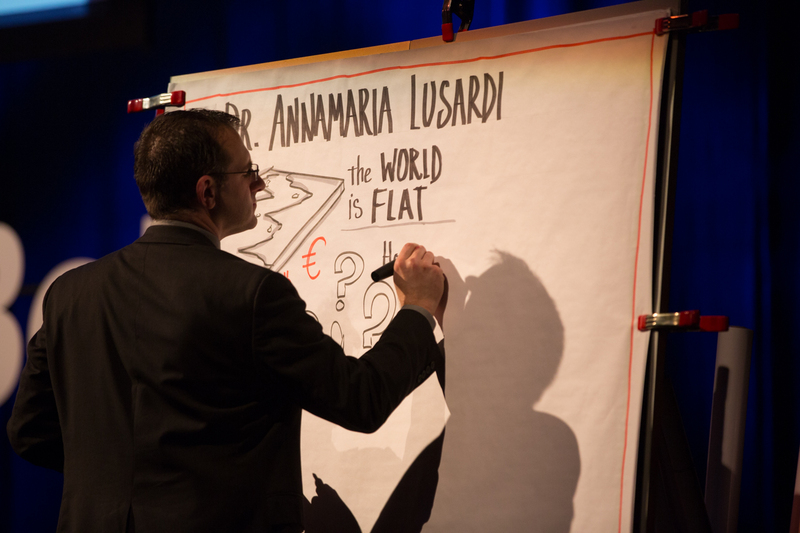 Annamaria Lusardi, Denit Trust Distinguished Scholar in Economics and Accountancy, posed questions about inflation and money management to measure the audience member’s financial literacy. 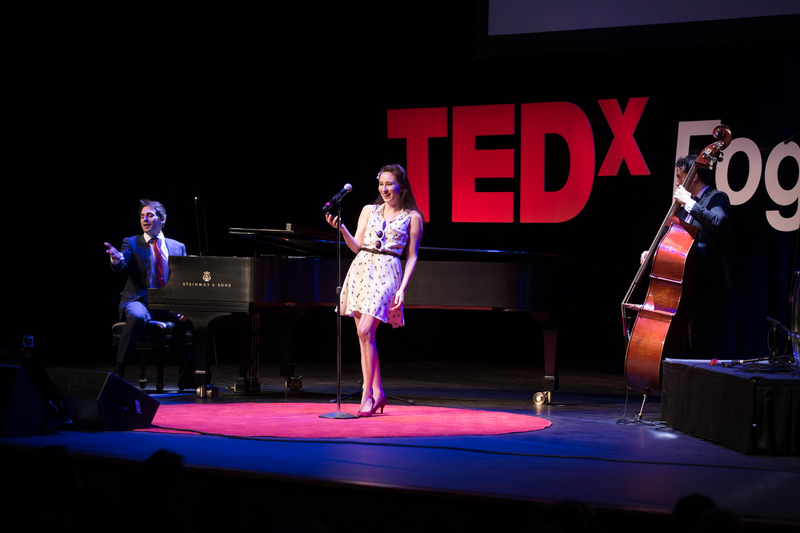 Postmodern Jukebox received ravenous applause for their vintage renditions of popular music. 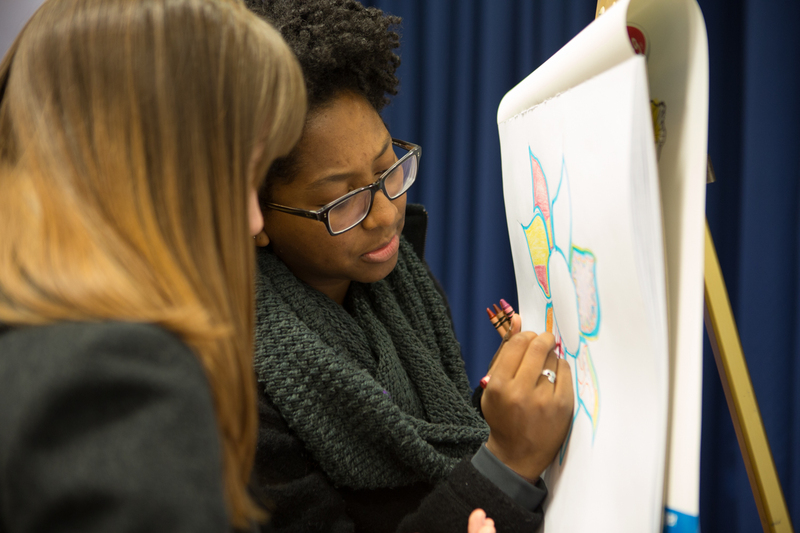 Students express their artistic side at the interactive break in the Marvin Center between talks. Brian Tarallo of Lizard Brain Solutions drew an artistic rendering of each speaker's talk on stage. Dr. Lusardi, Denit Trust Distinguished Scholar in Economics and Accountancy, added that working with undergraduate students Madeleine Livingston, Erica Soultanian and Caitlin Keliher from the Global Financial Literacy Excellence Center on her presentation was a valuable experience. “I was able to witness the work and dedication of a team of GW students and volunteers who made this special event happen, and they deserve a lot of credit,” she said. Dr. Lusardi spoke about trends in global financial literacy and the effect of poor financial decisions. She charged the audience members to become stewards of financial literacy in their communities. “Ask for information on financial literacy in your schools and school district, ask for it in your library and ask for it in your workplace,” she said. Mr. Fishman, a student and founder of GW Responds, also put out a call to action during his talk about his experience trying to stay motivated to effect change in others. He described a feeling of emptiness after working with his fraternity to raise more than $80,000 for cancer research. He realized it was because he was focused on other people’s reactions to the impact of their hard work, rather than the importance of attempting to effect change, he said. “A million tweets won’t feed the hungry or heal the sick, a YouTube video won’t put a kid from an underserved community through college, but your hard work just might,” Mr. Fishman said. 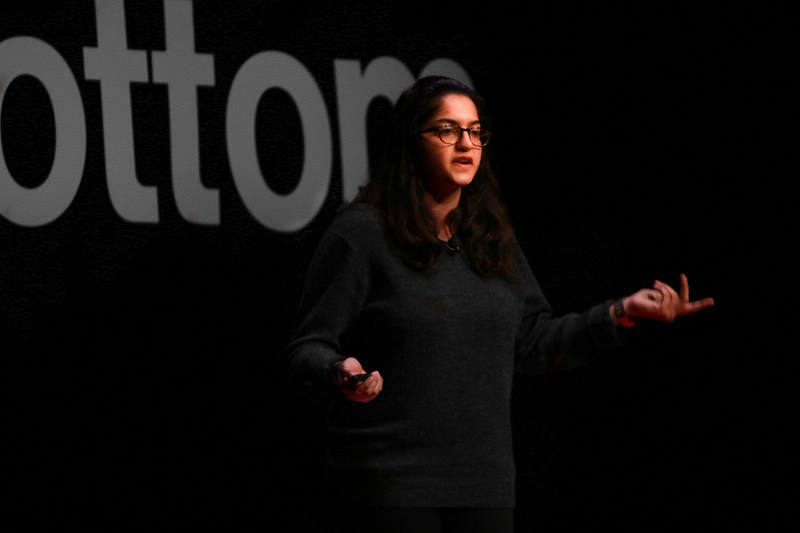 Ms. Pardasani spoke about a different brand of dedication during her talk focused on her struggle with anxiety and depression and her mother’s cancer. She discussed how she used mindfulness, or an awareness of being in the moment, to manage her anxiety. Tricks such as naming her disease “orange soda” to take the sting out of it and trying her best each day have helped her to stay healthy. Ms. Pardasani said that she hopes that those with anxiety and depression who heard her talk will be moved to admit their problems. 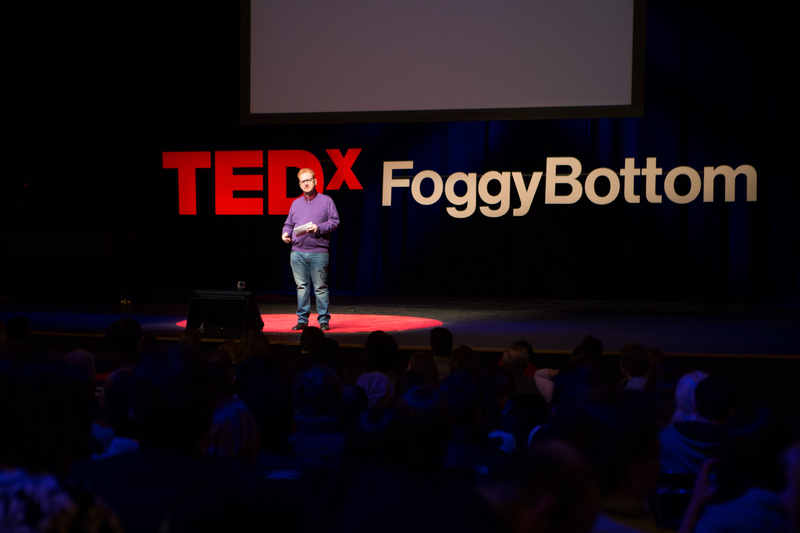 Encouraging openness is exactly what TEDxFoggyBottom was about, Mr. Doyle said.